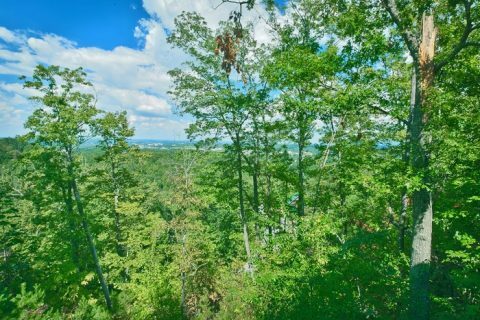 Enjoy a Pigeon Forge honeymoon with "Enchanted Evenings," a luxury 1 bedroom cabin with awesome views that's only minutes from the Parkway! 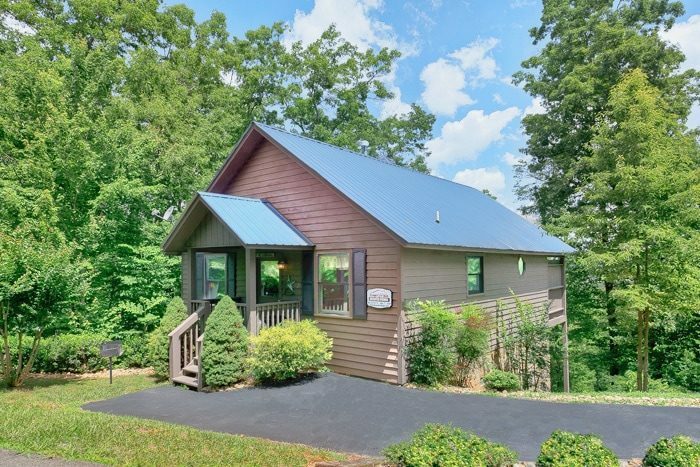 This Pine Mountain Rd cabin boasts an unbeatable location that's only a short drive from Traffic light #6 on the main drag in Pigeon Forge. 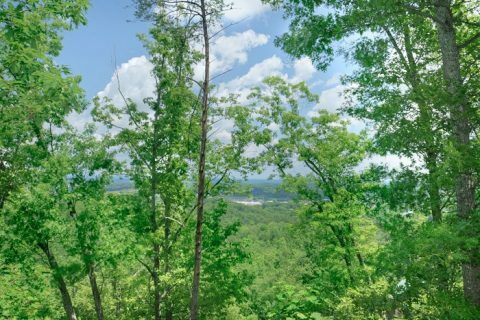 Not only will guests at this cabin stay close to the heart of downtown, but they'll also enjoy gorgeous mountain views by day and see the lights of the city at night. Even the lights of the Great Smoky Mountain Wheel at the Island in Pigeon Forge are visible at this convenient log cabin. 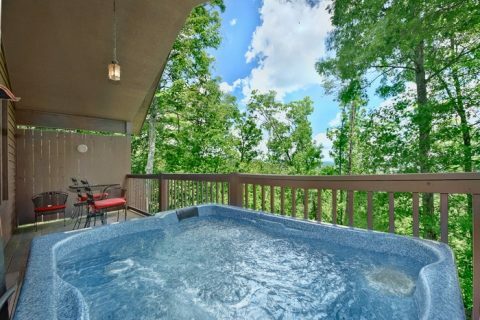 The Old Mill, Dollywood, the Gatlinburg Golf Course, and dozens of other attractions, shops, and restaurants are all easily reached from this premium honeymoon cabin in the mountains of Pigeon Forge. 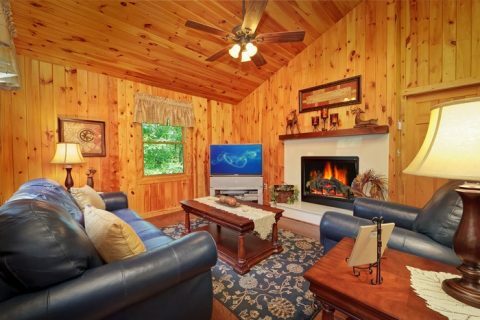 After you return to your convenient cabin after a day well spent at the top attractions in the region, you'll find a beautiful cabin that's perfect for making special memories with your sweetheart. From the double sided fireplace to the hot tub on your cabin's covered deck, "Enchanted Evenings" is designed for making romance. Sleek furnishings and new appliances help to create a 5-star experience at this Pigeon Forge rental for two guests. 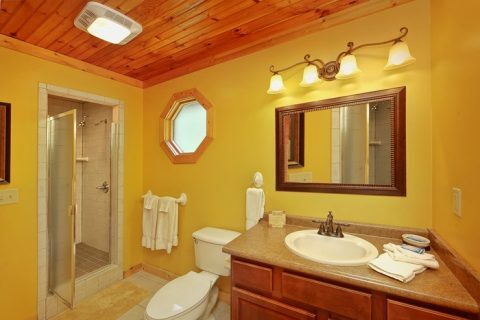 Other comfortable features included in your cabin are a king-size bedroom suite and a large jacuzzi tub for your personal relaxation and comfort. 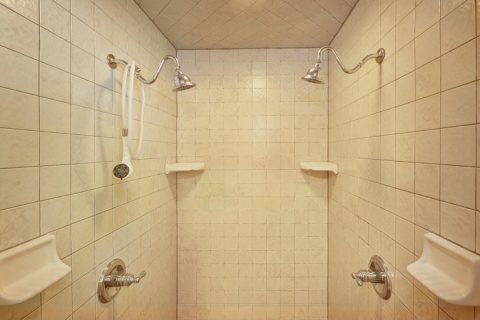 Your luxury rental also features a dual-head, tiled shower in the full bath. 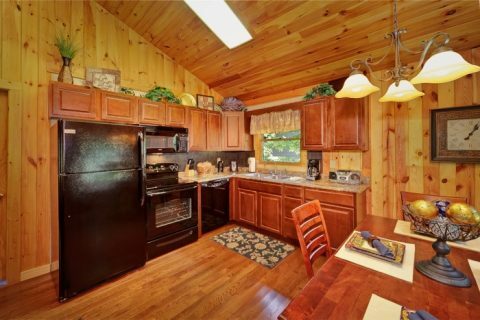 With your 1 bedroom cabin's kitchen and BBQ grill, you can prepare a delicious meal to impress your special someone. 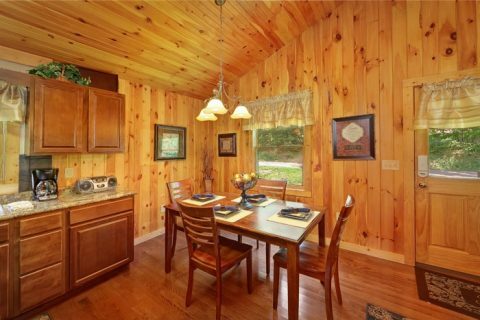 Dine together at the dinner table or enjoy a meal on your cabin's porch to make the Smoky Mountains the perfect backdrop for your dinner date. With tons of great restaurants and dinner shows in Downtown Pigeon Forge, you'll have plenty of options in the thriving Pigeon Forge restaurant scene. 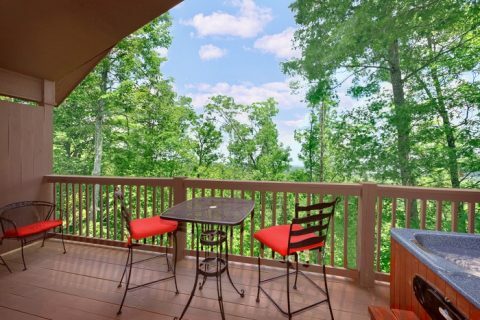 All the same, you can return to your cabin's deck after a night on the town to appreciate the beautiful glow of the parkway. 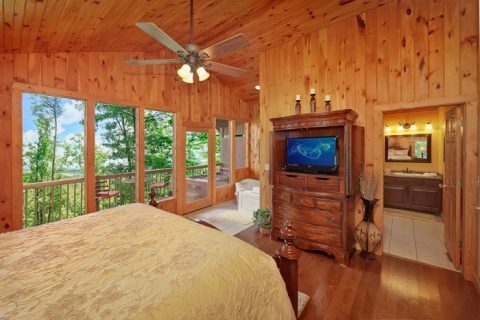 When you awake in your luxury honeymoon cabin in Pigeon Forge, what will you do when you start your next day? Will you explore the hiking trails of the national park? Ride coasters at nearby Dollywood? Explore great attractions downtown? 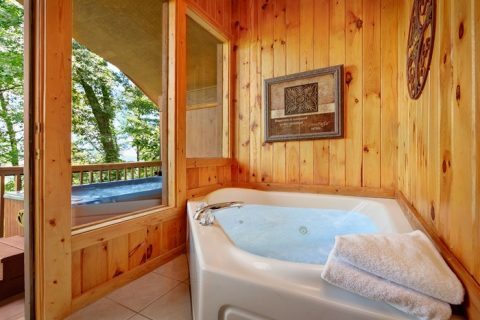 Or simply relax with your sweetheart at your perfect mountain escape? The possibilities for fun, relaxation, and romance are nearly endless at this premium cabin only 2 miles from Downtown Pigeon Forge. 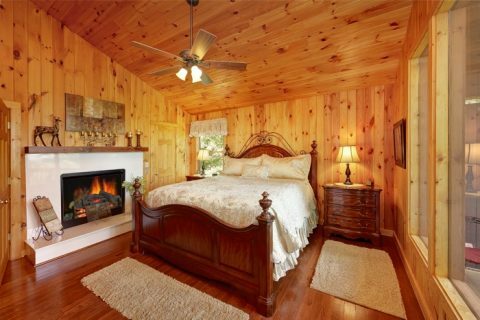 For even more comfortable cabin space in the Pine Mountain Road area, you could book "Enchanted Evenings" and "Romantic Evenings" together! These two honeymoon cabin rentals can easily be booked together to provide your group with more space. Simply call our office and we'll be glad to help you with arrangements. 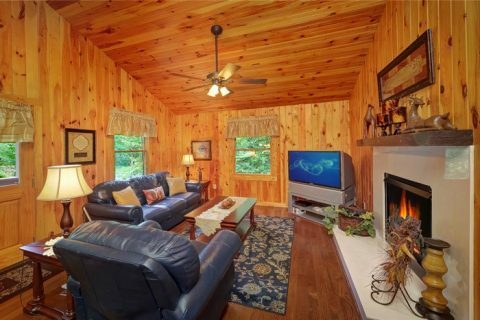 When you book "Enchanted Evenings" online with Cabins USA, you'll also receive an immediate 15% discount on your stay! 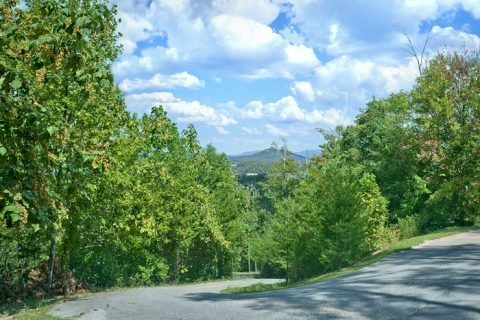 Score excellent savings and start planning your perfect honeymoon, anniversary, or couple's getaway to fun-filled Pigeon Forge, TN!